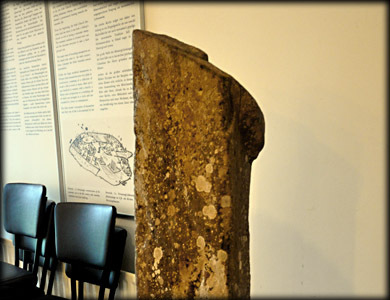 One of only three known ogham stones in County Cavan, the ogham stone on display in St Kilian's Heritage Centre, Mullagh has been moved on several occasions. The original location was in Rantavan townland, about 300 metres north west of the centre at the old Burial ground surrounding Teampall Cheallaigh. The stone was moved to the cemetery opposite St Kilians Centre sometime later and may have been used as a memorial stone. The stone is stands 0.64 metres high by 0.27 metres wide and is 0.11 metres thick. The inscription reads "OSBBAR" a male name. The stone is fractured at the top so there may have been further ogham letters. St Kilian was born in Mullagh in 640AD and in 686AD became a missionary to Wurzberg in Germany. He was martyred at Wurzberg in 1689. Each year on the 7th July the saint's relics are carried through the West German town in a procession from the crypt to the Cathedral of St Kilian. Close links have formed between Wurzberg and Mullagh and the citizens of the german town have donated generously towards the building of the heritage centre at Mullagh. 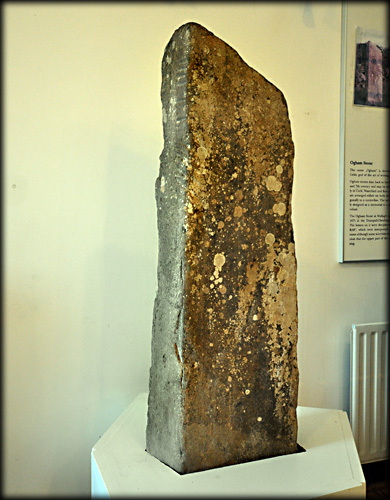 After the completion of the centre the Rantavan ogham stone was placed on display in the main hall. 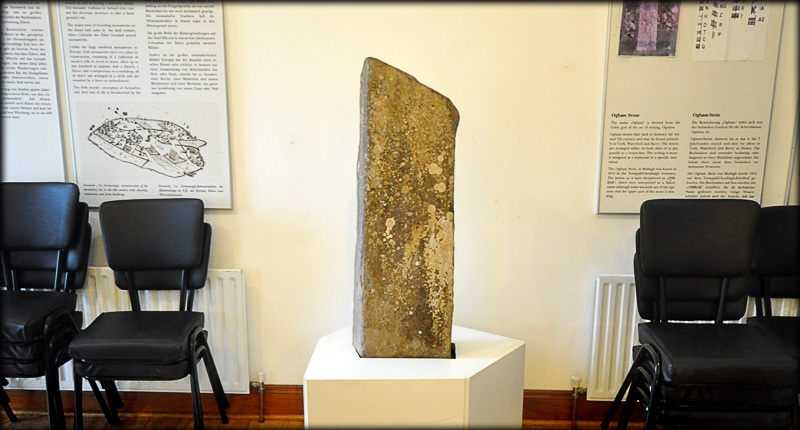 Situated: In the main hall of St Kilians heritage Centre Mullagh, County Cavan. Discovery Map 35: N 6866 8528. Last visit Mar 2014.